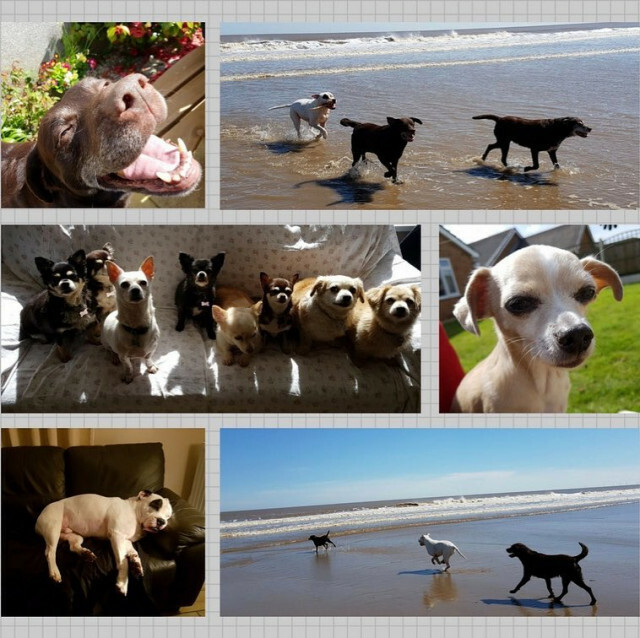 Pawprints Holidays offer truly dog friendly holidays. NO dog charge, limit or restrictions. We don’t believe that being dog friendly means being less comfortable for humans. Our beds have super comfy pocket sprung mattresses with an integral 2 inch memory foam layer on top. The master bedrooms have zip & link super king sized beds, which can be configured as one 6 foot wide bed or twin 3 foot singles. The second bedrooms have king sized beds. Leather sofas, power showers, smart tvs, wifi, dishwashers, washing machines....the list of home comforts is virtually endless. If you have limited mobility our accommodation is ideal for you. Ground floor facilities, bedrooms & minimal steps & changes of level make access & moving around very straightforward. 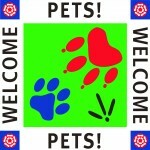 We only welcome guests with dogs, if you haven’t got at least one, you can’t stay with us. We don’t charge for dogs, no matter how many you bring. We don’t dictate size, breed, age or numbers. Your dogs are your family, and are more than welcome. Our gardens are enclosed, dog friendly & accessible. We choose our properties for their locations - close to lots of dog walks - and their dog friendly layouts & accessibility. Lansdowne Close, Sutton on Sea, Mablethorpe, Lincolnshire, LN12 2SN.